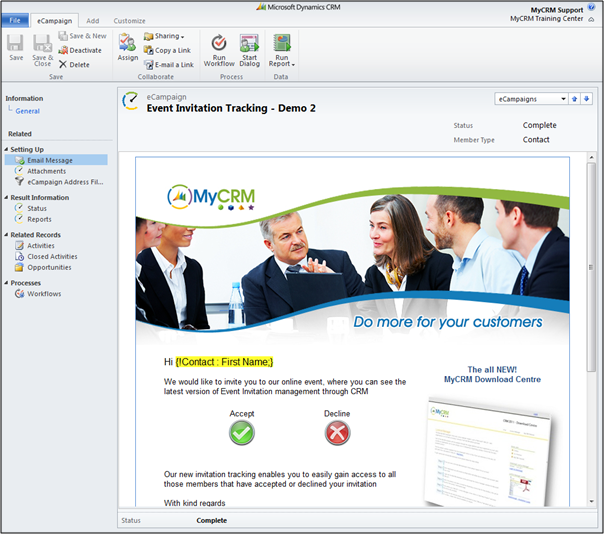 We have recently been working with a number of our eCampaign customers to develop a complete solution for Event Invitation Tracking in CRM. 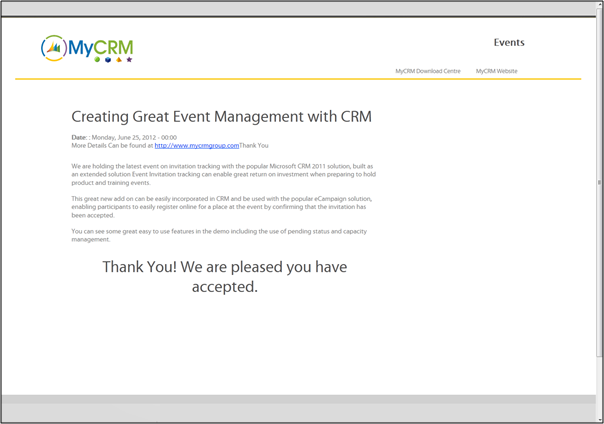 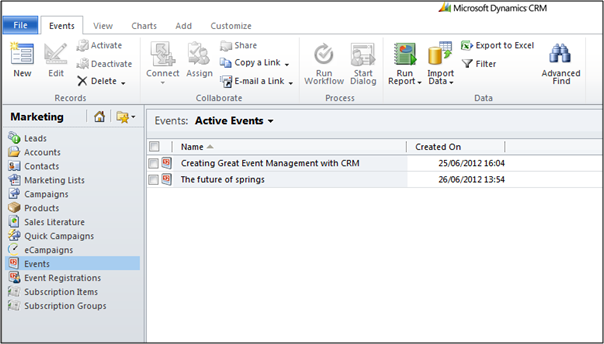 On the creation of an event in CRM, two URL’s are created for the Accept and Decline process and these can be used in eCampaign to send a bulk email with event invitations. 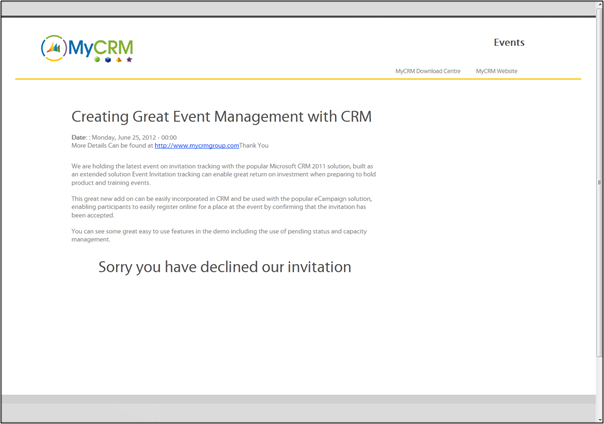 Likewise if the recipient Declines a similar page is displayed with a message saying they are not attending.